I prefer not to talk about work (on this particular blog at least) but one cool thing I’ve discovered at my Silicon Valley office is that we get bands playing live for us every month. This month was LA-Based Oh Darling – a kind of a Japanese-style-cutesy-Pop band. 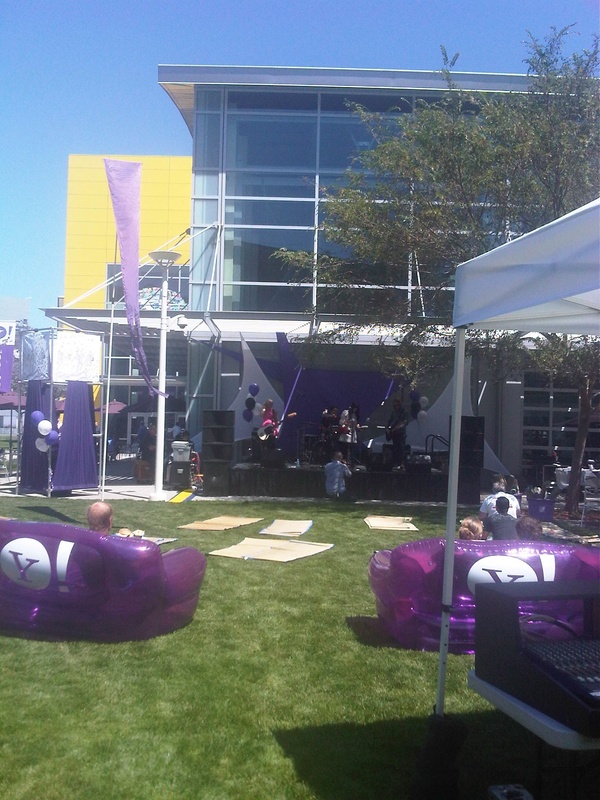 Lounging around in the sun listening to live music when `at work` certainly has an appeal to it. This entry was posted in work by bulmer. Bookmark the permalink.